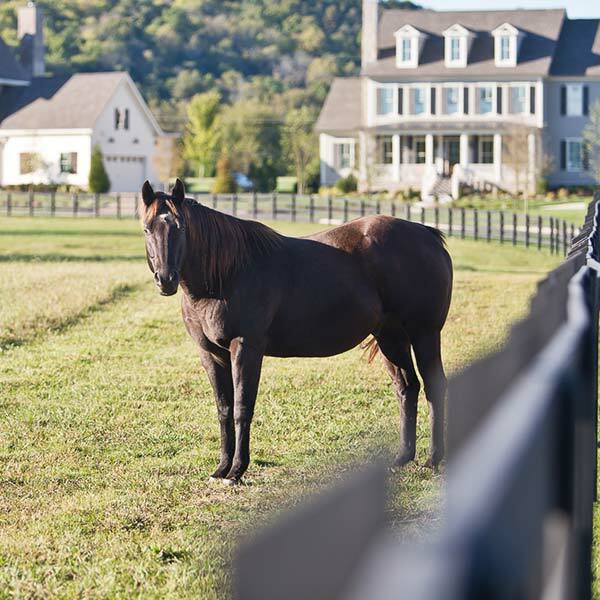 Nestled in the rolling hills of Williamson County, The Grove is an 1,100-acre Planned Conservation Resource Development bringing an upscale community lifestyle to the scenic landscape of middle Tennessee. 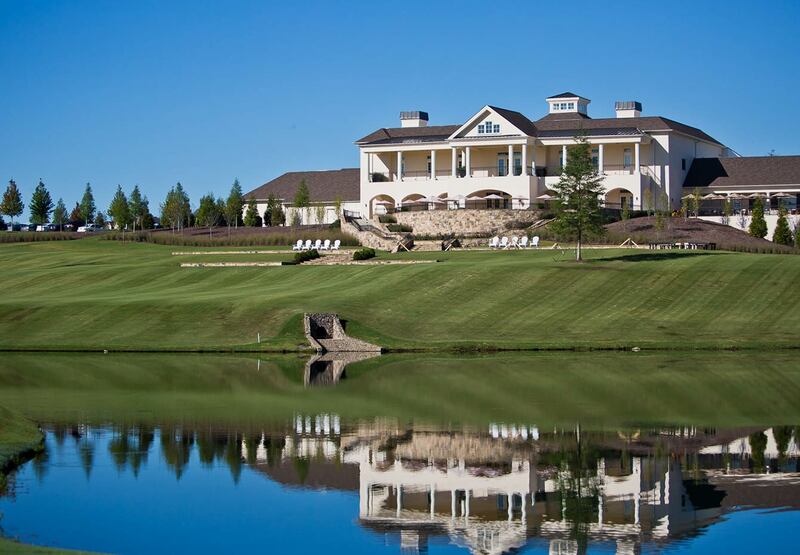 Featuring a Greg Norman Signature golf course and a host of luxurious amenities, The Grove offers a family living experience unlike any other in the region. Dale & Associates has been the civil engineer and surveyor for The Grove since the project's inception in 2007. Through management changes and extensive rebranding, we've remained with the project, adapting our designs to suit the evolving vision of the project's developers. 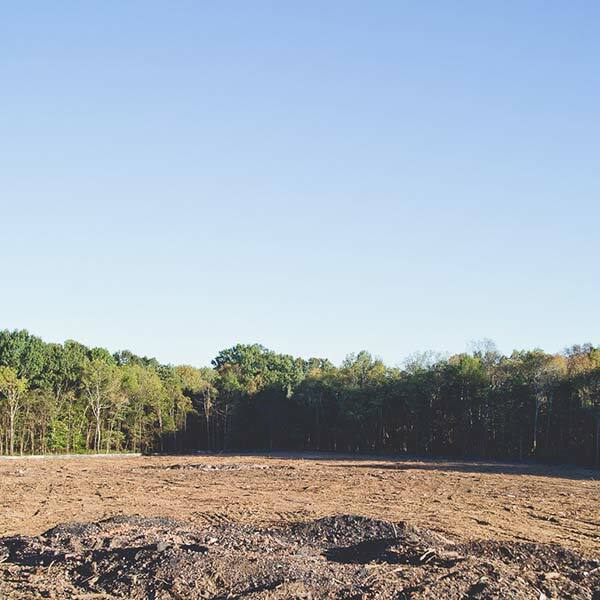 What does it take to turn a massive parcel of farmland into an upscale development showcasing one of the premiere golf courses in the state? 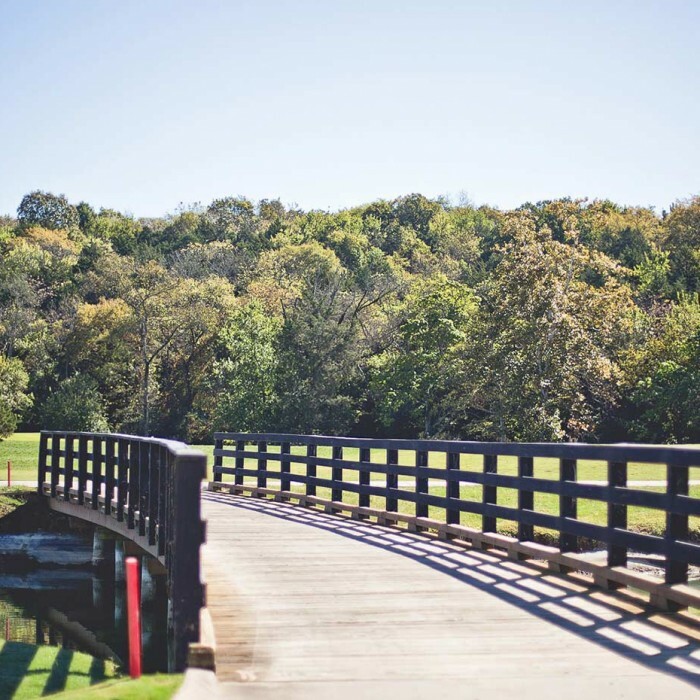 To begin, it requires a new regional sewer treatment facility to serve the development, an extensive network of storm water treatment facilities throughout the golf course and residential lots, grading and erosion control, and flood model analysis. Then comes the permitting: stream and wetland permitting and mitigation, approval and permitting of all planning and construction drawings, and more. And if that's not enough, there's also coordination with construction, with all project team members, and with the county. 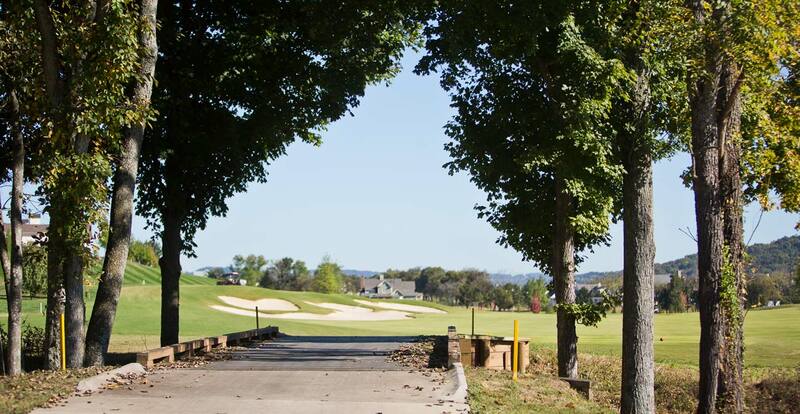 Because of our careful attention to detail and an understanding of Williamson County requirements, we've been able to design and coordinate the project's many facets from preliminary planning to the present day. Led by the expertise of our in-house surveyors, we preserved the beauty of the land by building into the landscape rather than on top of it. 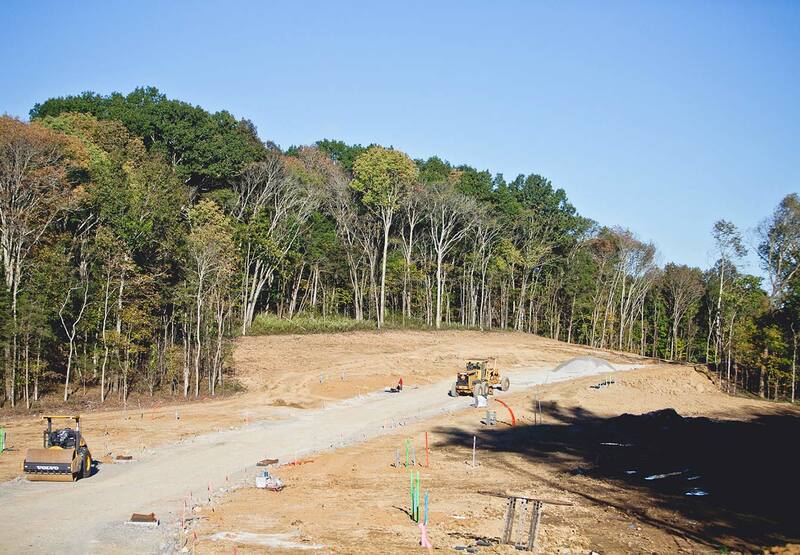 Scan the horizon, and you'll see homes and landscaping graded to follow the gentle rise of rolling wooded hills. 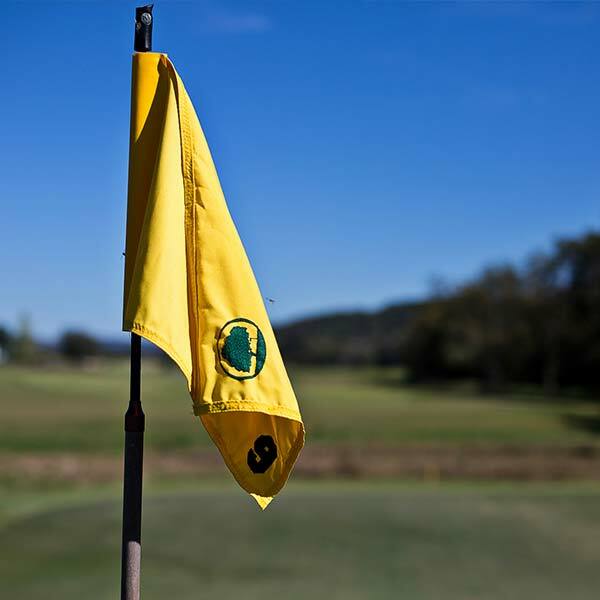 We teamed up with Greg Norman's team to create a course that embraces its natural surroundings. We looked to the property's unique topography for inspiration. We enhanced and repurposed wetlands, created scenic meadows, and designed ponds that treat runoff water. These natural features serve both aesthetic and functional engineering purposes. A system of trails winds through the development, connecting the resulting pocket parks, lakes, and horse pastures. With 820 approved residential lots ranging from 14,000 sq. 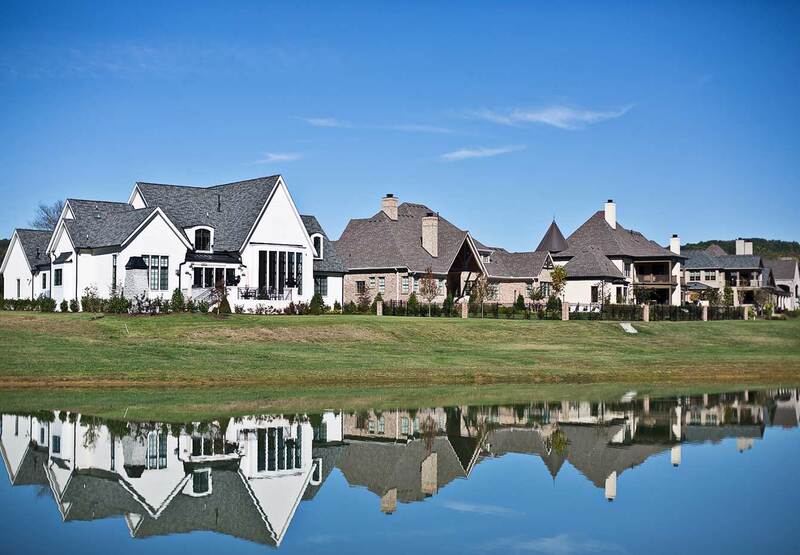 ft. to over an acre, each carefully situated to incorporate breathtaking golf course or landscape views, we are proud to be a part of bringing this unique living experience to Middle Tennessee. 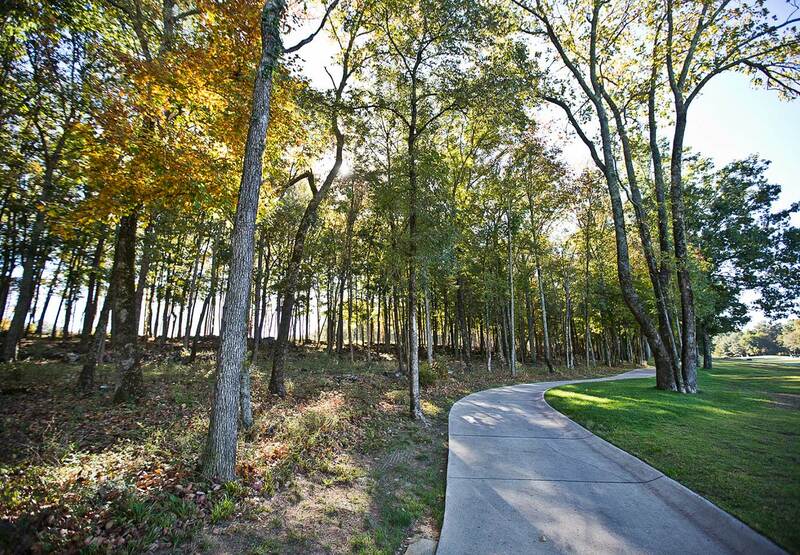 The Grove is a testament to the expertise and environmental focus of our team.